If you haven't downloaded the app already, click here for iOS and here for Android. If you're billing in Ontario, learn how to maximize your OHIP Billing here. 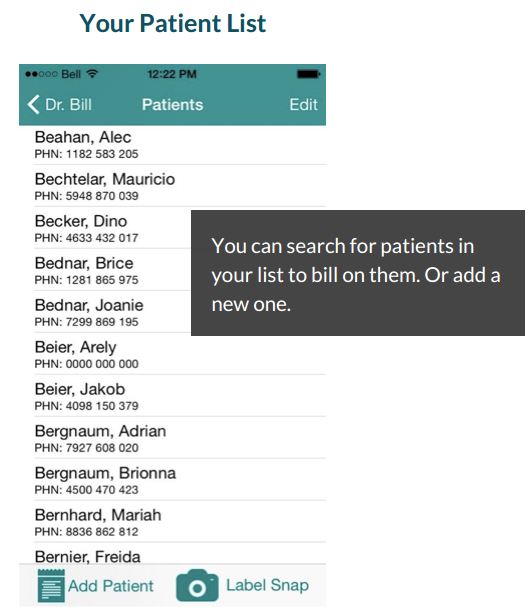 To quickly add a patient, simply snap a photo of each patient label. Dr. Bill will capture all the patient information. You can also add a patient manually. 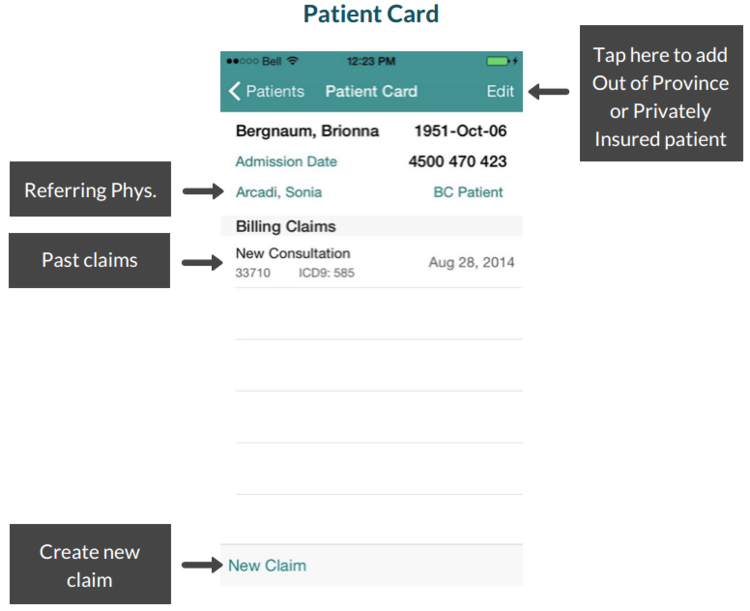 Once created, you can log claims for a patient immediately. On an individual patient card, you can see their information and claim history. From here you can edit patients and add new claims. Hit 'New Claim' at the bottom to add a claim.